A seventh-round pick for the Toronto Maple Leafs in 2016, forward Nikolai Chebykin had a strong 2016-17 campaign, scoring his first goal in the KHL and showing a lot of progress. The young forward is going to skate at the Leafs rookie camp starting on July 5. 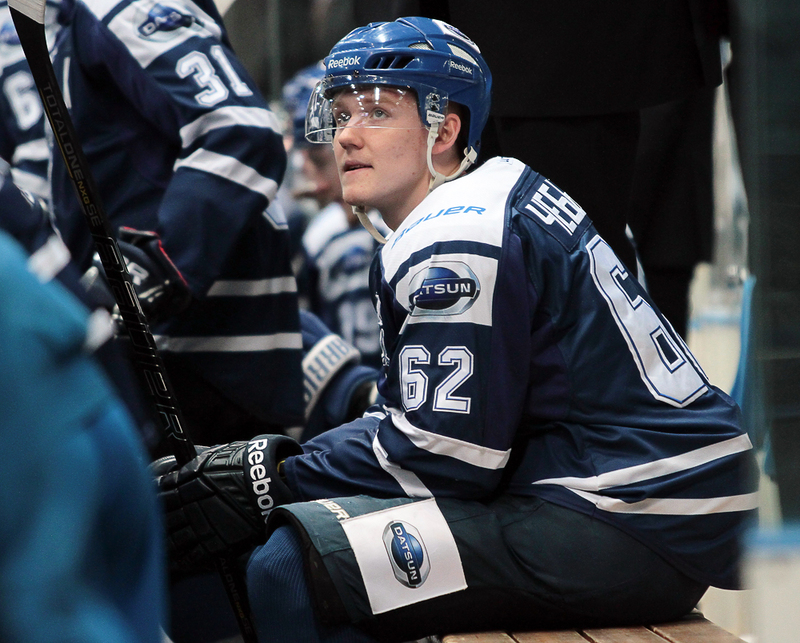 The Hockey Writers reached Chebykin while practicing ahead of the Toronto Maple Leafs development camp and talked with him in his native Russian language. “Currently, I’m practicing with the conditioning coach of my team in the MHL, HC MVD,” Chebykin said when asked about his current programs. HC MVD is an affiliate for Dynamo Moscow. The well-known Russian team is in financial turmoil right now, with a debt estimated at 2 billion Rubles, some $35 million. It’s not a surprise to notice that many players, especially the younger ones, are trying other ventures to move on with their career. Just last week, Chebykin’s teammate Alexei Lipanov was drafted by the Barrie Colts in the annual CHL Import Draft and will report there for next season. In spite of being listed as born in Moscow by most of the online profiles, like NHL.com, he was actually born in a city some 3000 miles to the east. “Yes, it’s true. I was born in Chita. My family hails from there. Actually, not from the city itself, but from one of the nearby towns in the city’s province.” He moved to Moscow when he was 9 to pursue better career options. “My parents brought me to Moscow when I was 9. Once there, I started playing for Dynamo.” The Leafs prospect doesn’t forget his roots and visits Chita every year. “Yes, there is a huge difference between Chita and Moscow, but so there is a huge difference with Toronto most likely, therefore I’m not worried about that.” As for many Russians, though, one challenge remains: “The only thing that worries me a bit is the language barrier. I can say that I don’t talk a perfect English,” he added with a big smile. When Chebykin was growing up, he did not have any idols back then, but when he started practicing seriously with his father, a player appeared: “Jaromir Jagr. He is a legend. Frankly speaking, I don’t remember the first time I have seen him play. It was simply my father. He would always show me his game as an example. And thus he became my idol.” He also learned from Alexander Radulov and Evgeny Malkin. Chebykin had a very good 2016-17 season. 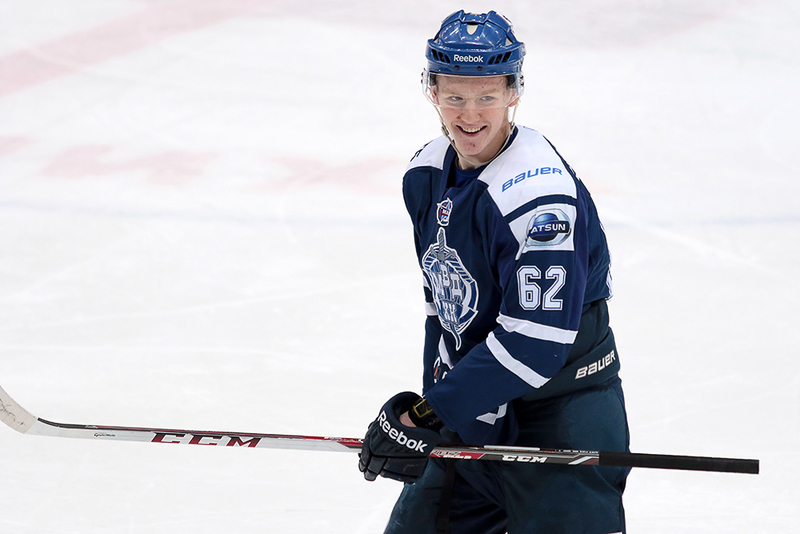 He played first in the KHL and scored his first goal. He also played a lot with Dynamo’s farm team in the VHL, scoring eight points in twenty-four games. He was also very good in the playoffs, as he scored three goals and nine points as his team won the title. Moreover, he scored seventeen goals in seventeen games in the Russian junior league, the MHL. Chebykin has admitted to not personally know anyone on the Leafs’ roster so far. “Just the younger guys, [Vladimir] Bobylev and [Nikita] Korostelev.” He also admitted “not knowing” that Korostelev is now a free agent and currently skating with the Anaheim Ducks at their rookie camp.